Kimberly Lamparelli, a 40-year veteran in the speech-language pathology field, joined the Communication Sciences and Disorders Department in The College of Arts and Sciences this semester. Lamparelli, the new Gebbie Speech-Language Clinic director, comes to SU from the College of Saint Rose in Albany, where she worked since 1992 in a variety of clinical and teaching positions. As clinic director, Lamparelli will oversee the daily operations of the speech-language pathology clinic of the Gebbie Speech and Hearing Clinic, teach two courses and assign and supervise final extern placements. In addition to Lamparelli’s role in the Gebbie Speech-Language Clinic, she will also serve as assistant clinical professor of practice. 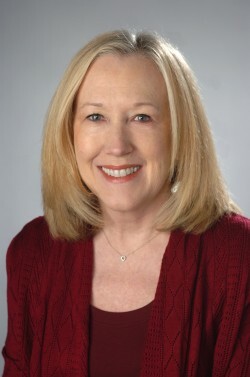 While director of clinical services at the College of Saint Rose’s Joy S. Emery Educational and Clinical Services Center, which included the Pauline K. Winkler Speech-Language-Hearing Center, Lamparelli was responsible for developing and implementing procedures and policies to enable the Winkler Center to become a third-party provider. This move dramatically increased revenue as well as the variety of clients being seen in the clinic. Lamparelli also led the charge to re-establish the early intervention/preschool special education services program, where she increased full-time staff from two to seven positions. Lamparelli, a member of the American Speech-Language-Hearing Association and the New York State Speech-Language-Hearing Association, received a master’s degree at the University of North Carolina, Chapel Hill, and completed her undergraduate studies at the University of Florida.